This will update the operating system with the latest security updates and software patches. 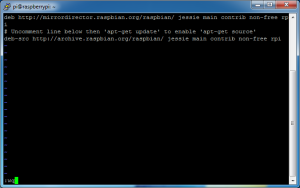 Raspbian Jessie is a Debian operating system so the apt package manager is used. 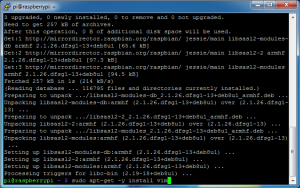 To build Fldigi from source, the dependencies will need to be installed. 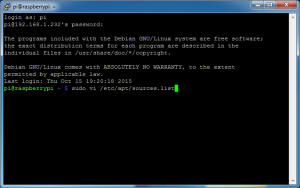 The source repositories need to be enabled. 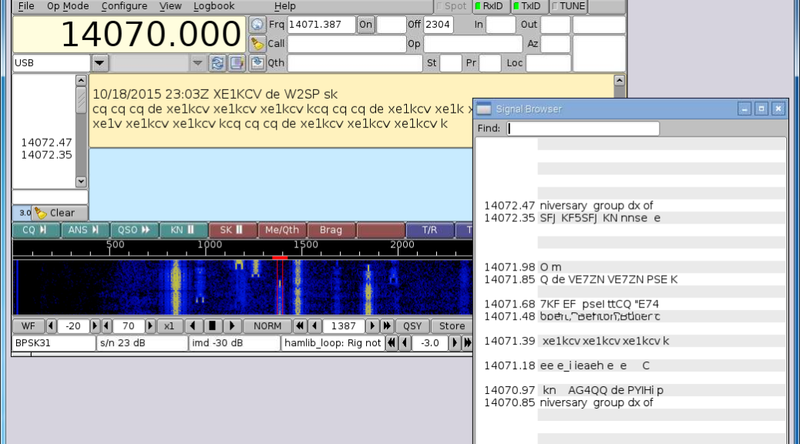 Arrow down to the 3rd line that begins deb-src. 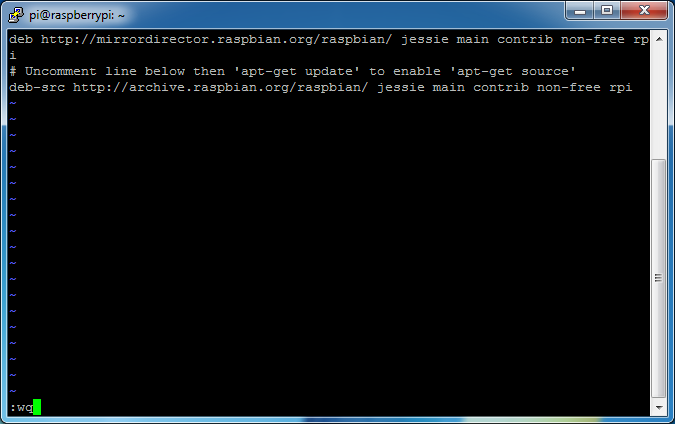 update: tells the package manager to download the list of available packages from the repositories. 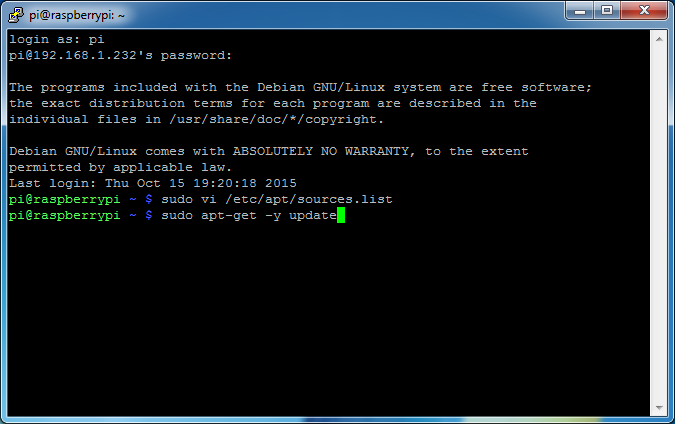 It does not update any software or packages. 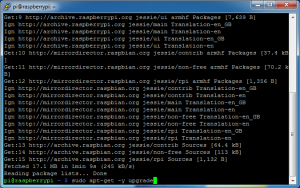 upgrade: downloads and installs any updates to packages the manger knows about by way of the repository lists downloaded earlier. 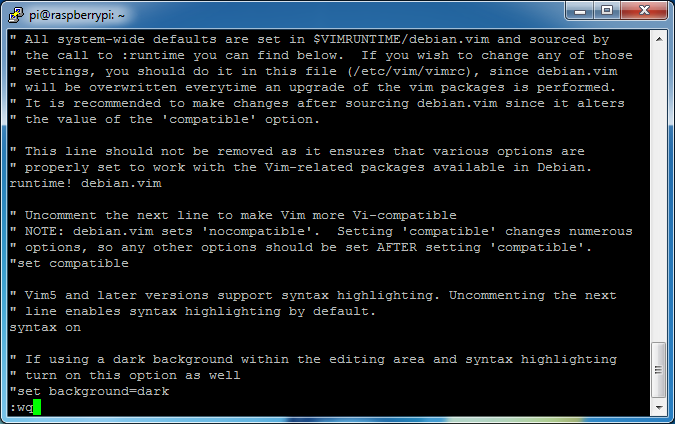 I’m installing my favorite editor vim (Vi IMproved). 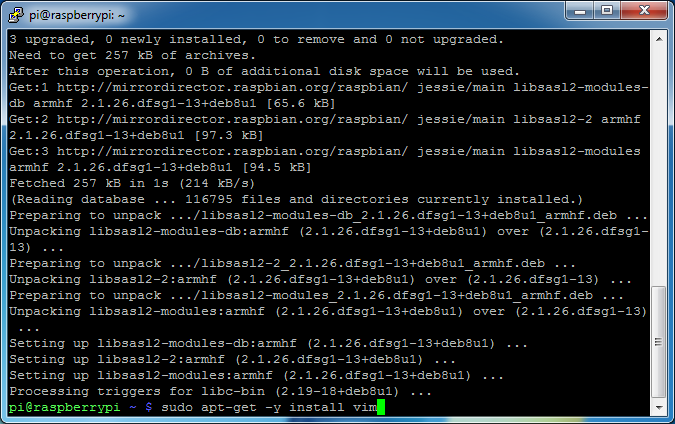 install: downloads and installs the package if it is not already. 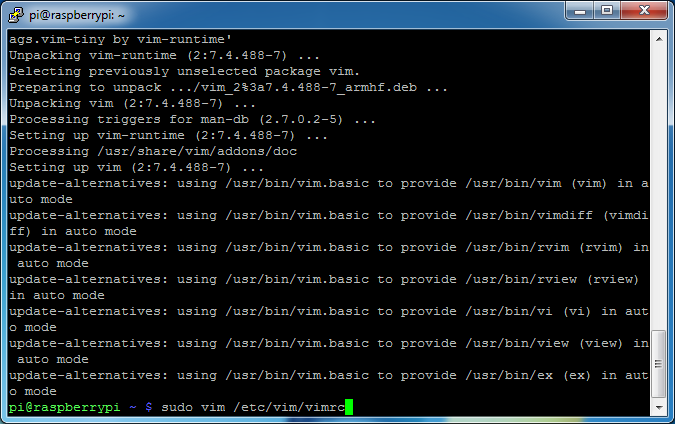 vim: the name of the package(s) to be installed. Arrow down to the 19th line that begins “syntax on. Place the cursor over the ““” (comment indicator) and press the “x” key to remove it. It’s a good idea to reboot after upgrading. 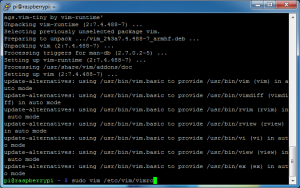 Other distributions of Linux have different repositories available to the package manager. 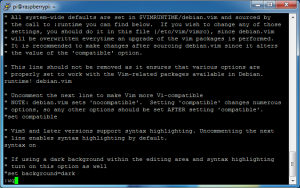 When editing the sources.list on other distributions, the source line will be different. 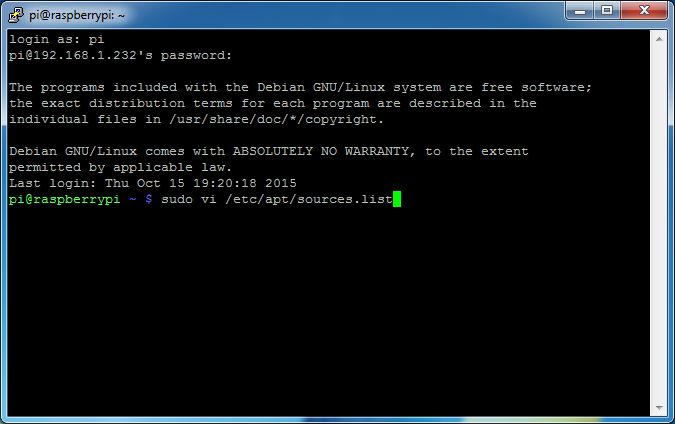 Look for deb-src lines with the code-name of the distribution and ‘main’ on the line (as opposed to ‘security’ or others). 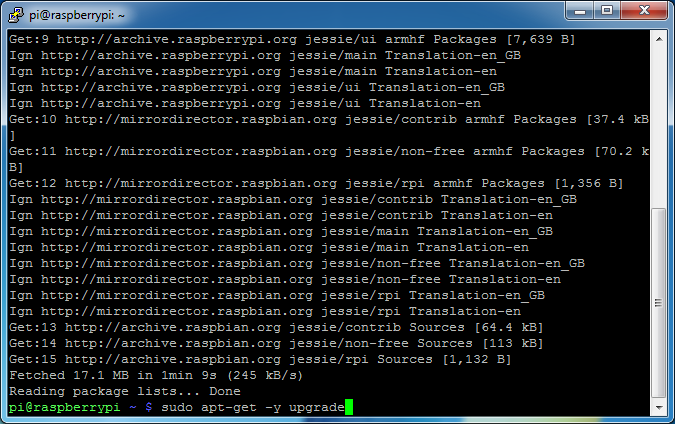 If the downloading of the packages goes incredibly SLLLOOW, consider adding a Raspbian Mirror to the sources.list file.